Grow in responsibility and faith while exploring beautiful places. The Camp Tecumseh experience hits the road to some of America’s most remarkable places. For campers 13-17, adventure trips provide unique, small group experiences that expand the lessons taught at Camp Tecumseh to high-adventure activities ranging from white water rafting to horseback riding. With nightly devotions, an emphasis on the “I’m Third” motto, and counselors trained in Tecumseh way, adventure trips have never felt so much like home. All Camp Tecumseh adventure trippers travel in the Chariot – a fully loaded, airport-style limo-bus complete with high back reclining seats and a DVD player. Trippers camp along the way on each trip and trippers are responsible for preparing the campsite, cooking and cleaning, and performing other camping responsibilities. All trips are led by exceptional Camp Tecumseh staff members. 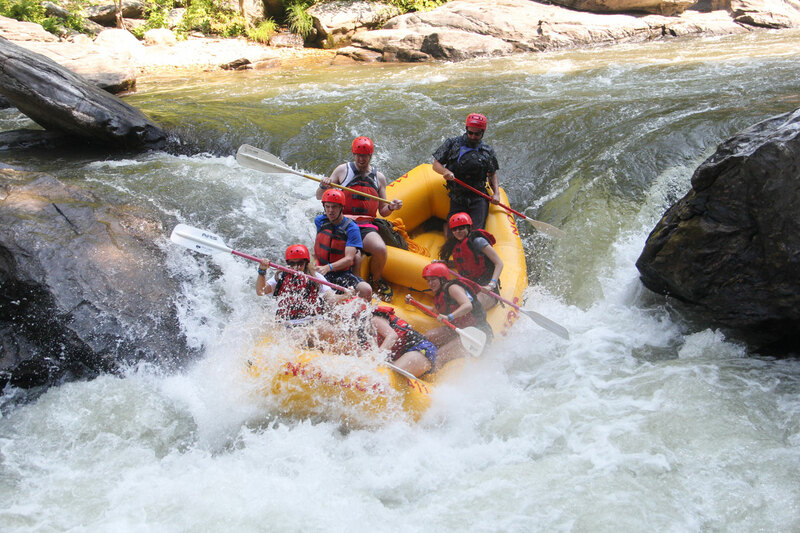 Ride the rapids with your friends from Camp T.
Flowing through the mountains of Tennessee and the Carolinas, the Nantahala, Chatooga, and Ocoee rivers provide the backdrop for a week’s worth of exhilarating rafting, body-surfing, diving, camping, and exploring. Experience the rush of class 3 and 4 white water rapids in the day, and retreat to cozy campfires in the evenings. Make new friends, experience new things, and prepare yourself for one wild ride. All campers must be capable swimmers. Ride the trails with fellow Camp T Trippers. The mountains of Tennessee are calling. Hundreds of miles of trails snake through the Cumberland Plateau, providing breathtaking views of the Big South Fork. Our world-class Tecumseh staff teams up with the staff of Southeast Pack Trips (www.southeastpacktrips.com) of Jamestown, TN to lead 4 unforgettable days of riding and camping. 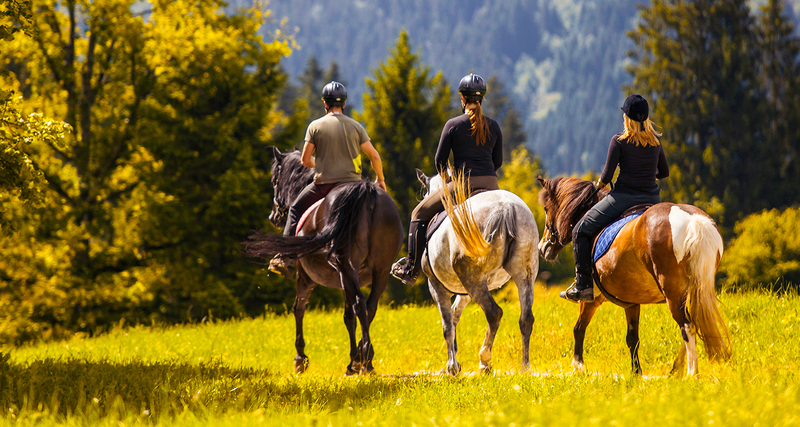 Previous horseback riding experience necessary-please contact Amie Gleason to see if your riding ability is suitable for the trip. You don’t have to have been an Equestrian camper here to go on this trip. Please call and speak with our equestrian director, Amie Gleason, to see if your riding ability is suitable for this trip! 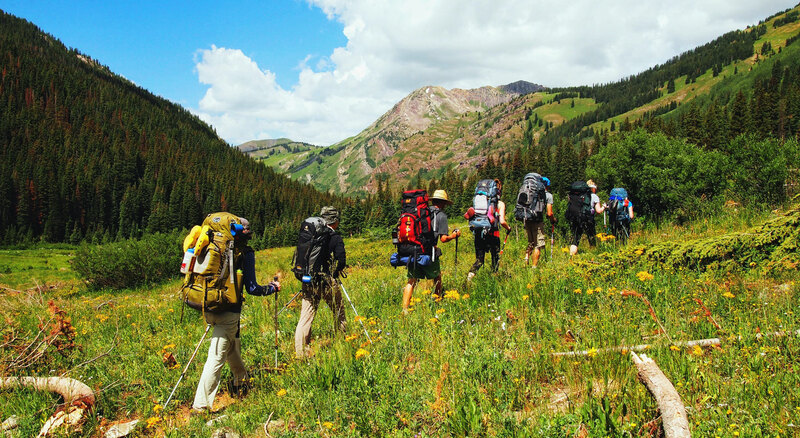 Head out west for a 2 week trek to backpack in the Rocky Mountains of Colorado. We team up with Wilderness Expeditions (www.wildernessexpeditions.net) who guide us on the trek, culminating in a summit of a 14,000 foot mountain. Each trip has it’s own packing list.